The 11 luxurious suites of Orabel Suites are designed to spoil you with sophisticated amenities and luxurious facilities. 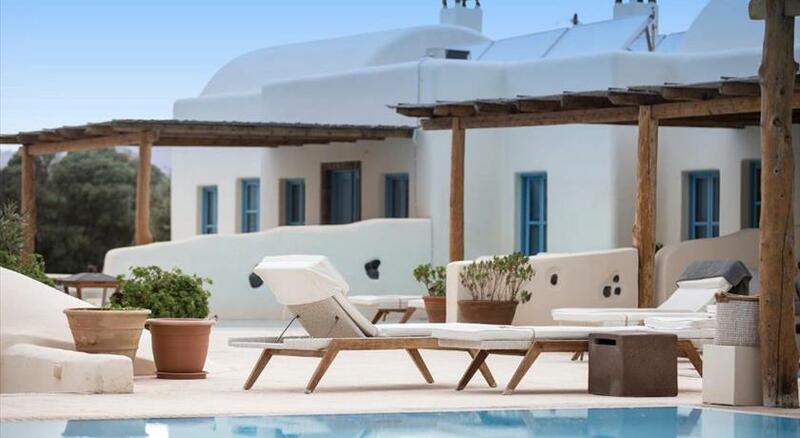 The white-washed style of Santorini and the natural materials dominate in the interiors, while splashes of color and exquisite pieces of contemporary art offer a modern touch to the traditional island design. All suites offer a private heated Jacuzzi-Swimming pool, ideal to soothe your senses, as well as a balcony with an outdoor living room, with beautiful views to the swimming pool and the Aegean’s blue. Featuring a counter current swimming pool and a poolside bar, Orabel Suites Santorini is set in Perivolos Village, around 9 km from Fira Town . All Cycladic-style suites feature a private jetted tub, while free WiFi is available in all areas. 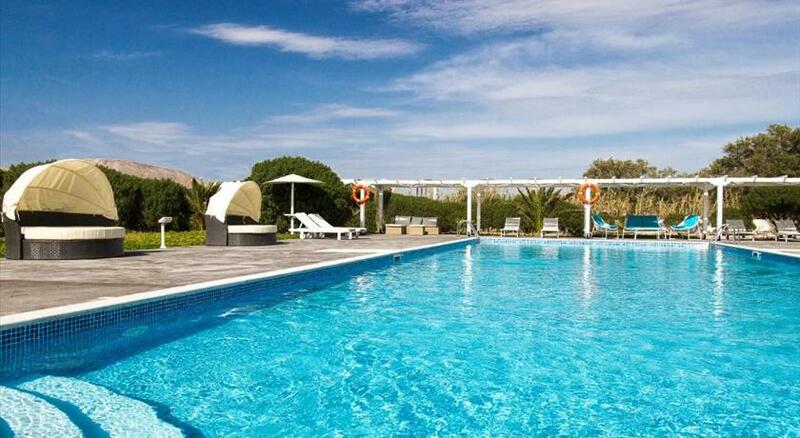 Perivolos Beach is just 250 metres away. All suites offer views of the Aegean Sea or the pool, and include a living room. There is also a refrigerator, and a private bathroom with free toiletries. Air conditioning and a 32'' flat-screen TV come standard. More facilities include a Nespresso coffee machine. Breakfast is daily served in the suites, while guests can enjoy a variety of coffees, drinks and snacks at the on-site snack bar. 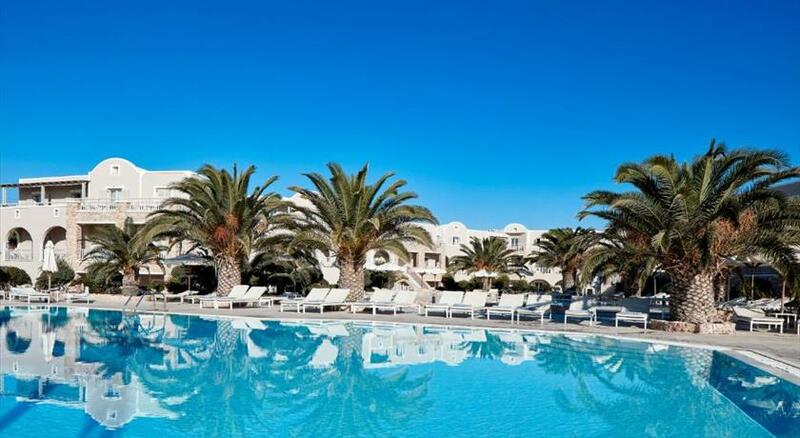 Kamari is 5 km away, while the nearest airport is Santorini Airport, within 7 km. Private parking is available on site. 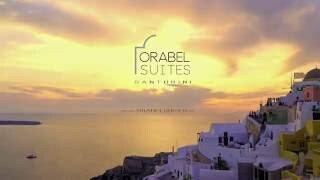 Please inform Orabel Suites Santorini in advance of your expected arrival time. You can use the Special Requests box when booking, or contact the property directly with the contact details provided in your confirmation.